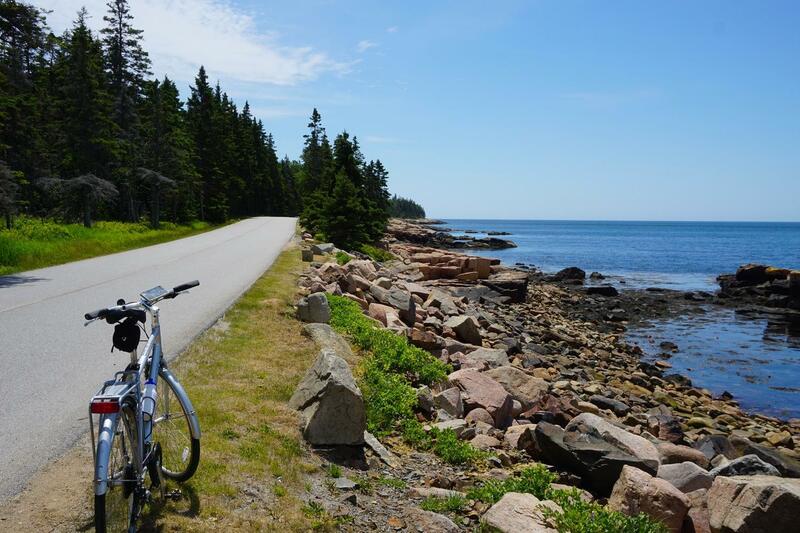 Spend a week biking inn-to-inn along the Maine coast. 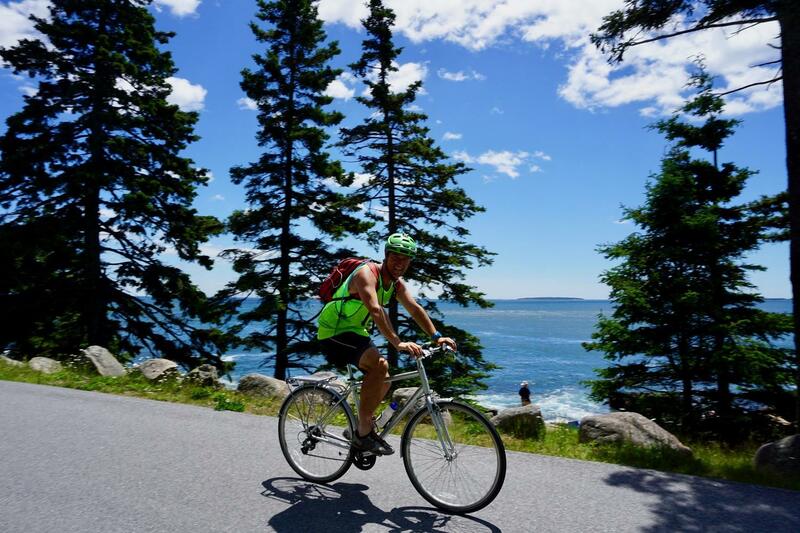 Start and end your bike tour in the fascinating harbor towns of Camden and Bar Harbor, where just enough protection along Maine’s rocky, wave-battered shores has offered a refuge for thousands of mariners. Rather than skip from one destination to the next, soak in the local flavors, from salt spray to rich lobster bisque, along the way. 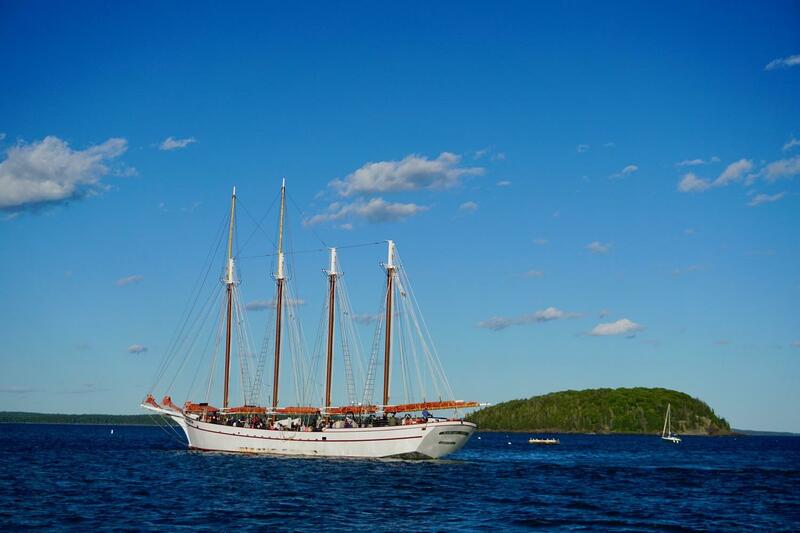 As you depart Midcoast Maine and head Downeast, you’ll be traveling in the same direction as sailing ships did, coming from New York or Boston with the prevailing winds. With the wind at your back, you’ll also get a little boost – but save that energy to tackle the optional challenge of riding to the summit of Mount Cadillac, the highest point on the North Atlantic seacoast and the first place in the US to see the sun rise during half the year. 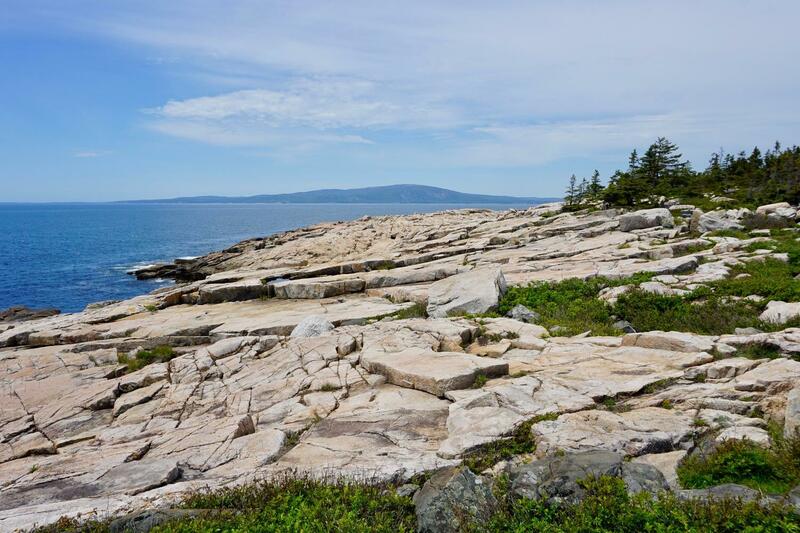 Bar Harbor and its backyard, Acadia National Park, provide an unparalleled destination to end your week-long tour along the magical coast of Maine. 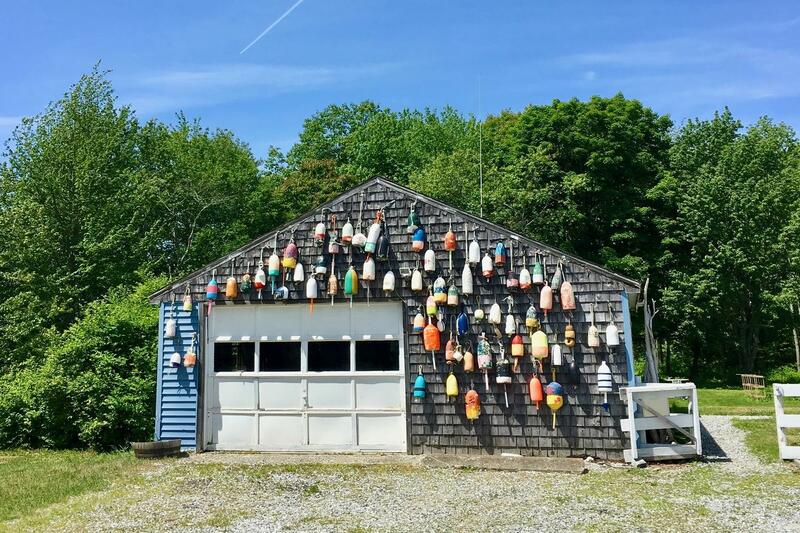 Fly, bus, or drive to Camden, and take some time to explore your home for the next two nights, the “Jewel of Midcoast Maine”, known for its tall-masted sailing ships, bustling downtown shops, and the hills rising straight from the sea that comprise Camden Hills State Park. Pick up your rental bike, get oriented, and ride a short loop encompassing lakeshore, forests, and views of the bay. A great way to get your legs ready for the longer days to come, today will also provide you the opportunity to explore the town. 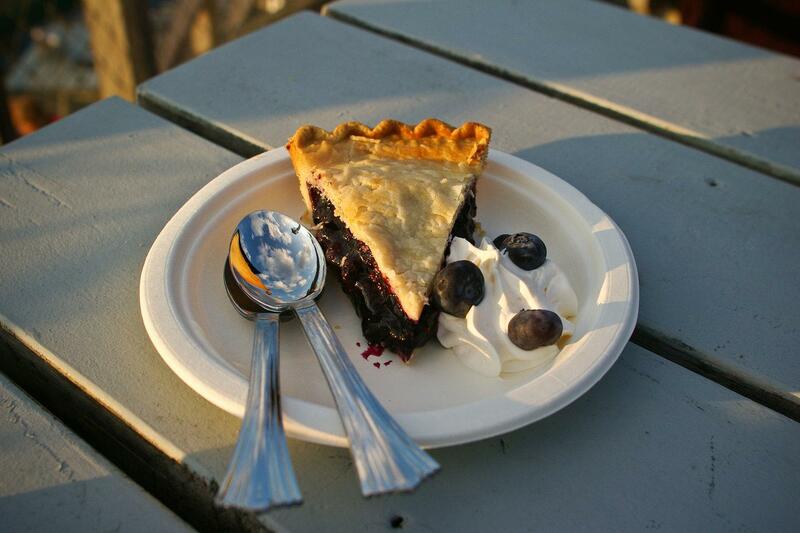 Enjoy an ice cream and meander the brick-lined streets or have a glass of wine while you watch the boats come and go. Pedal inland, past Megunticook Lake and Camden Hills State Park, as today’s ride rolls up and down through rural communities. Today you’ll be entering the part of the state known as the ‘Downeast’ region, a name originating with the sailing ships travelling from the cities of New York and Boston with the prevailing winds. As they navigated ‘downwind’ and to the east, they too likely felt a connection with this rugged place, drawing them towards its raw beauty and further from the familiar. Finish your ride in the village of Belfast, a hub for the region’s coastal peninsulas and inland farms. 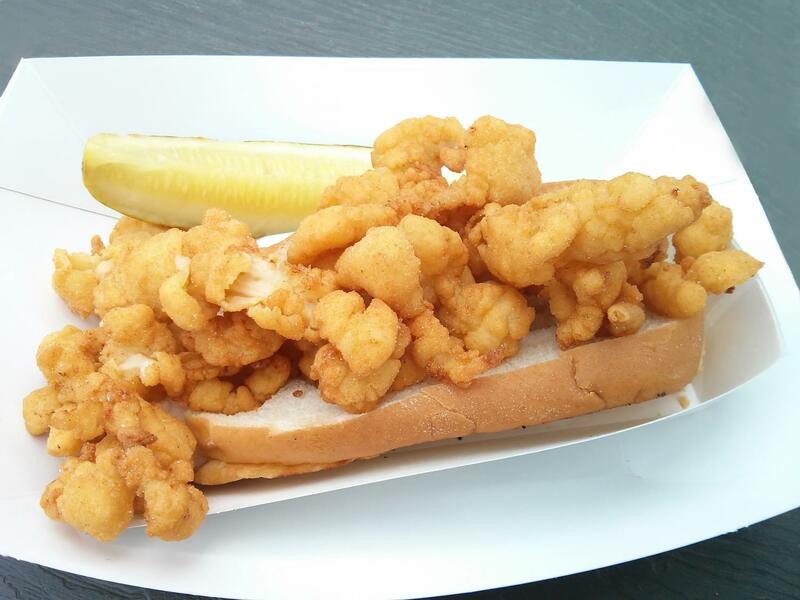 Today’s route begins with a stretch of quintessential Maine coastline, strewn with villages offering the best of the region – and you can’t go home without at least one helping of fried clams. Then turn off the beaten path as you travel one of the quieter reaches of your route, the Blue Hill Peninsula. Here, blueberry barrens stretch to the horizon, and the only backdrop is the sea. While this area was once bustling with lumber, boatbuilding, and fishing industry, it has recently seen a wave of art, food, and music. From Blue Hill, you’ll trace the meandering coastline, first heading north and then south down the next peninsula, outlining the curves of Downeast Maine (a state with more miles of coast than California!). 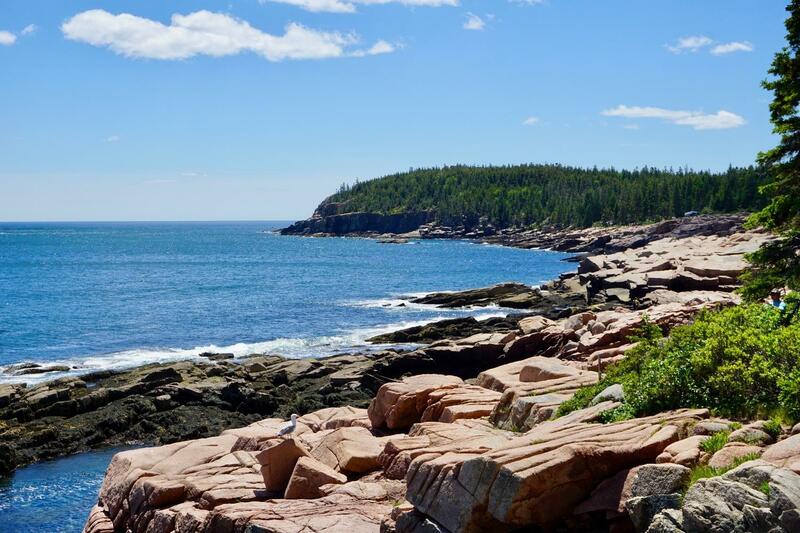 You’ll notice a marked difference as you rejoin the main tourist trail heading to Acadia National Park, one of the most visited in the country. The world-class hiking, kayaking, fishing, sailing, beachcombing, and sightseeing opportunities attract travelers from around the world. 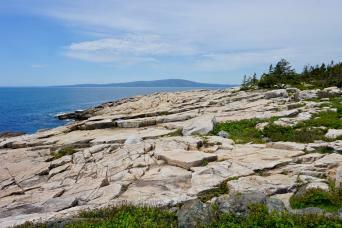 Enjoy the next two nights on Mount Desert Island, a true highlight of Coastal Maine. 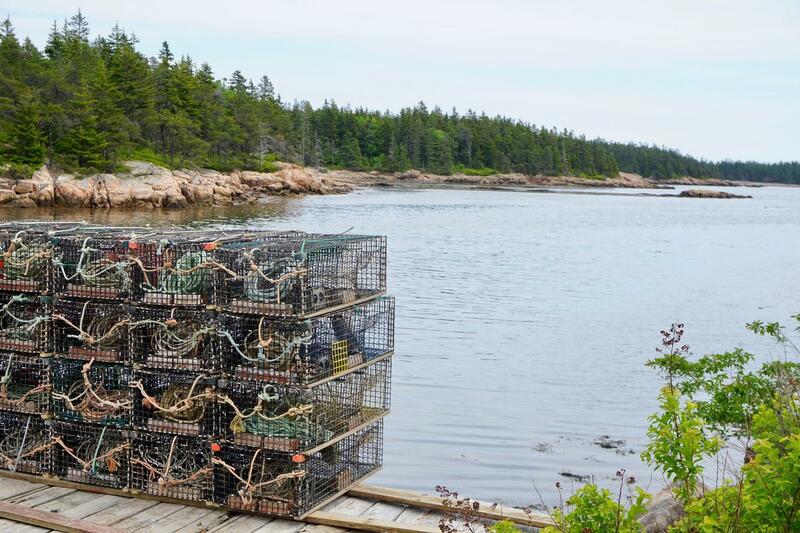 We recommend an early start for your tour through Acadia National Park. Spend the morning riding the Loop Road, a route that shows off the rocky shoreline, narrow coves, granite outcrops, and diverse ecosystems of this unique isle. Take an optional detour to the summit of Mount Cadillac for views of nearby islands. Then relax and enjoy the buzz of Bar Harbor; perhaps look for souvenirs, walk one of the park’s many trails, book a whale watching tour if you’re extending your stay, or just sit back and breathe in the salt air. 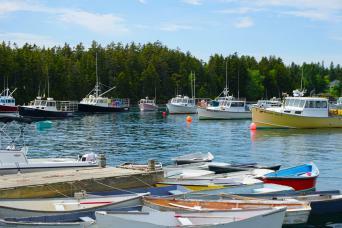 From Bar Harbor, you can easily fly to Boston for onward travel. However, we encourage spending an extra day or two to enjoy all that Mount Desert Island has to offer. Stay six nights in hand-picked B&Bs and inns, chosen for their character, comfort, and hospitality. The properties shown below are the ones we use most frequently. If we are unable to secure you a room in the following properties at the time of your booking, we will do our best to accommodate you in alternate accommodations which we have selected for their standard of comfort and will let you know this before we confirm your booking. This trip is priced based on two people sharing a room. If you’d like separate rooms, a single supplement is required. This trip is also available to solo cyclists and a supplement is required. The friendly locals and small B&Bs make this a great trip to enjoy as a solo traveler. Breakfast is included each morning. Typical breakfasts include juice, tea, coffee, yogurt, granola, breads, jams, eggs or a choice of hot dish. Please notify us of any dietary restrictions at the time of booking. Lunch and dinner are not included so you are free to choose from the available options. Plan your day with this in mind; depending on your timing it may be easier to pack a picnic lunch, while at times your route will offer multiple cafes and dining along the way. There is information about available food and drink in your route notes. You can easily add extras nights during this itinerary. For further details, please ask us at the time of booking. This impressive 1840s Victorian home steps from downtown Camden exudes the hospitality of energetic innkeepers Bob and Cat, who have gone above and beyond in every detail. Lexa and Nat will welcome you into their historic homestead, recently renovated yet still brimming with authentic coastal New England charm, and perfectly located on a sleepy street a short walk from downtown Belfast. 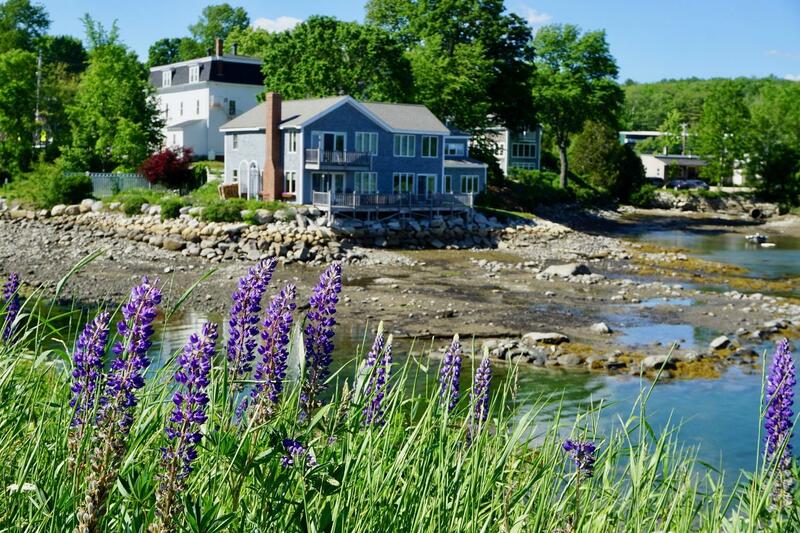 This Federal period building, listed on the National Register of Historic Places, is both homey and elegant, offering a memorable stay in Blue Hill, one of Maine’s coastal gems. With several parlors, gardens, and a sunny front deck, the Manor House Inn will make it difficult to leave on your day’s excursion, despite being in the state’s adventure capital. Owned by Bar Harbor natives, this charming mansion is the perfect location for your Acadia basecamp. a better chance at securing your dates. in advance as this time of year fills quickly (particularly weekends). Navigating is easy using the Macs Adventure Navigation App. Your daily rides will be mapped in the app with GPX tracks, route notes, and turn-by-turn directions. All of these resources are available to download for offline use, which is recommended as cell service is unreliable in rural Maine. Written turn-by-turn driving directions are included in the app. When you have cell reception, you will also have 24/7 telephone support from us here at Macs Adventure. This tour is graded moderate. The daily mileage averages 27 miles and the longest day is 39 miles with rolling hills. The only sustained climb is the Mount Cadillac summit ride, which is an optional add-on to your loop ride in Acadia National Park. You should have some experience riding on roads and sharing with other road users. This route follows a mix of busier roads entering and exiting towns as well as quieter rural roads. The roads with more traffic often have wider shoulders, while the smaller roads may have narrow to no shoulder, but will see less traffic. The entire route is paved, but surface conditions change yearly and seasonally, so gravel, pot holes, and frost heaves are a possibility. The distances and ascents/descent listed are approximations of the recommended routes. Our pre-departure information pack includes a detailed equipment list on what to take with you. This includes warm and cold weather gear, cycling clothes, rain gear, and lots of other specifics. If you have any questions about what to take, we'd be happy to share our own top tips and advice. Bike rental is included in the cost of this trip. This includes a Trek 2018 Verve, a comfortable hybrd bike outfitted with a rack and water bottle cage. You will also receive a basic repair kit, helmet, and lock. If desired, Trek Silque and Emonda carbon road bikes are available for an additional charge. You can choose to use the flat pedals provided or bring your own clipless pedals and/or saddle to be installed on your rental bike. There are also a limited number of e-bikes for an additional fee (Electra Townie Go), so please inquire if this is a concern of yours. Please supply us with your height for your bicycle rental. Travel insurance helps protect your travel investment, your belongings and most importantly you, from unforeseen circumstances that may arise before or during your trip. For more information, please visit our travel insurance page by clicking this link. Depending on where you are travelling from, choose to fly directly to Knox Country Regional Airport (daily service from Boston on Cape Air). We can arrange a transfer from the airport to Camden (25 minutes, additional fee). You may also fly to Boston Logan International Airport, Portland International Jetport, or Bangor International Airport and take a Concord Coachlines bus to Camden (5 hours from Boston; 2.5 hours from Portland; 1.5 hours from Bangor). In Portland, the bus leaves from the Portland Transportation Center, accessible from the airport by taxi or local bus. In Bangor, the bus leaves from the Bangor Transportation Center, accessible from the airport by taxi. Alternatively, we can arrange for private transportation from Portland or Bangor airports to Camden (additional fee). For more flexibility, you may also choose to rent a car and return it in Thomaston and we can arrange a transfer from there. From Bar Harbor, fly back to Boston from the Hancock Country-Bar Harbor Airport on daily Cape Air or Silver Airways flights. Alternatively, fly out of Bangor International Airport. Take the free shuttle to the Bar Harbor Airport (in season) or we can arrange a private transfer to either airport. If you’ll be continuing your adventures in Maine, you may choose to rent a car at the Bar Harbor Airport. You will find contact information for local taxis in your pre-departure information pack. If you require a lift on one of your cycling days, please inquire ahead of time if possible. The luggage transfer company may be available to transport you to your next inn, dependent on their schedule. Fees apply to all additional transport. As always, if issues arise, Macs Adventure is only a phone call away. Your rental bike will be arranged through a local bike shop at the starting point of your trip. We will set this up ahead of time and provide all necessary details in your pre-departure information packet. You will pick up your bike at the rental shop so that our local partners can help adjust the bike for you. At the end of your trip, we will provide instructions for leaving your bike at your last accommodation. Day 2: Camden Loop Ride 16 mi. Day 3: Ride to Belfast 24 mi. Day 4: Ride to Blue Hill 35 mi. Day 5: Ride to Bar Harbor 39 mi. Day 6: Acadia National Park Loop Ride 23 mi. With average daily rides of 28 miles and over 1000 feet of ascent and descent each day, this tour is designed for an adventurous cyclist looking for a balance of riding and relaxation. The days’ rides will include some hills but won’t take you all day, so you’ll have time to stop along the way to explore an antique shop, chat with your innkeeper, and take in the rugged coastal views. You should be comfortable sharing the road with other users.